Staying on Disney property is so worth it! 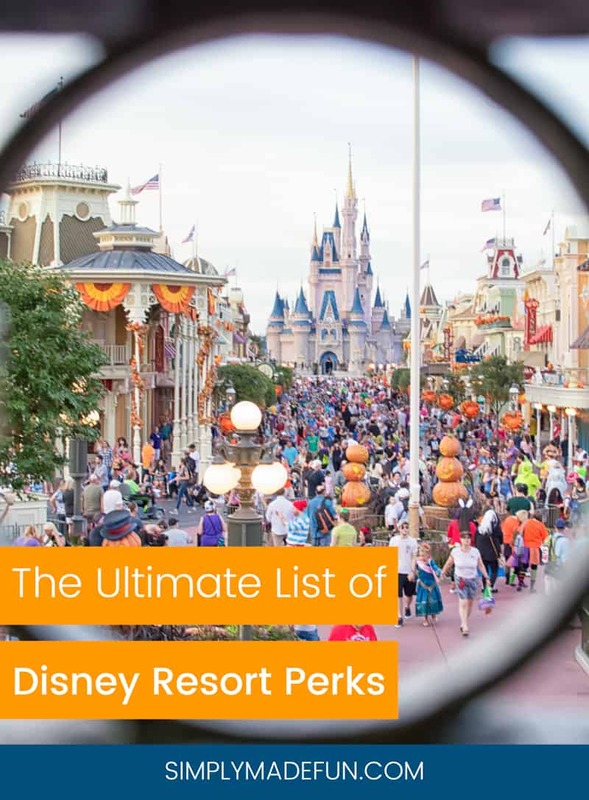 Keep reading to find out about all the awesome Disney Resort Perks they offer. Every time we go to Disney we stay on-property. Chris has tried to get me to stay off-site before but I’m always pretty insistent on staying at one of the resorts. Besides being immersed in all things Disney I have found that I just can’t pass up the perks. Because Disney definitely makes it worth your while to stay with them. And if you’re trying to decide if staying on-property for you, I’ve got ten good reasons why these Disney resort perks are worth it! I don’t know about y’all, but I love a good perk. Free stuff and me go together like bread and butter. Which is why I get all kinds of excited when I hear about some new perk that Disney offers, or one that I didn’t know about (so that means it’s new, right?). And what kind of friend would I be if I didn’t fill you in on all the perky goodness? So read on friends! Because I’ve got 10 Disney Resort Perks you need to know about! If you drive to Disney and you get there before they have a room ready for you, you can have Disney hold your bags until you can get into your room. They even will refrigerate items that need to be kept cold for you! And once your room is ready Disney will deliver all of your luggage so that it will be waiting for you in your room when you get there. I’ve just started doing this consistently because it is so darn useful and you should be doing it too! If you have the My Disney Experience downloaded on your mobile device (do it! It’s so helpful) you can check in to you resort before you get to Disney. You can also put in room requests during the check-in process and opt-in for text messages to let you know when your room is ready so you can skip going to the front desk altogether! PRO TIP: Just make sure you have all the magic bands from your party with you when you go to the room for the first time. You must scan all of them at the door so that you can use them all to get into the room later on! If you’re flying down to Disney and don’t have enough room in your luggage for certain things, pack them in a box and ship them to the resort you’re staying at! A lot of people do this with food and snacks so that they aren’t spending money on three meals a day at Disney (because let’s face it, that adds up!). I’ve used this service when ordering things off Amazon or when renting camera lenses. UPDATE: This is no longer a free service, you now have to pay $5 for Disney to hold your packages for you. In all honesty though, it really isn’t that big of a deal in my book. You’re still saving FAR MORE by having items shipped to you so that you don’t have to spend money on those things inside the parks. PRO TIP: Make sure you put your confirmation number on the delivery label so that Disney knows which guest the package is for! PRO TIP #2: If you use online check-in, make sure to call the front desk to let them know you checked in and have gotten into your room. You must do this so that your package will be delivered. 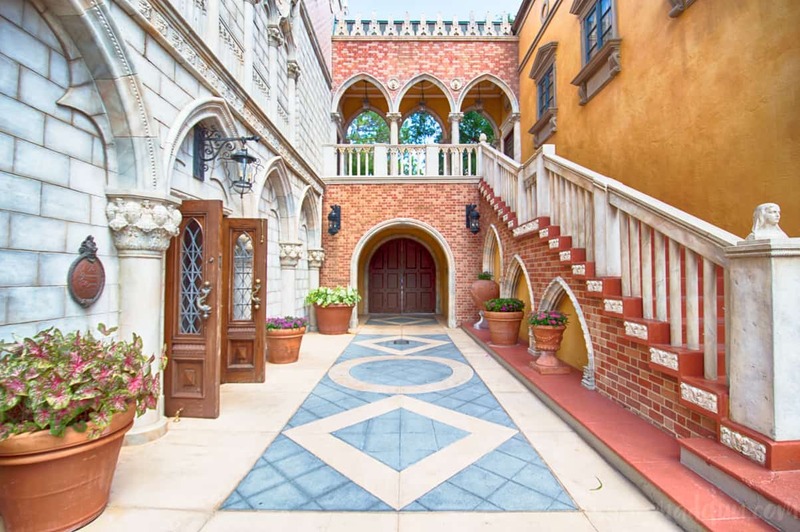 If you like to plan your Disney vacations out months in advance (we are so not those types of people) then you will love this perk! For Fastpass+, you can start picking rides and times 60 days out from your vacation. If you’re looking to get Fastpasses for more popular rides (like the new Frozen Ever After ride at Epcot) you must try to book it as soon as your 60 day window starts! For dinning reservations, your window opens at 180 days. If you want to get an early morning reservation inside the Magic Kingdom, book early! It is possible to get one of those reservations later on, but it’s better to book early and not chance it. PRO TIP: If you can’t get a Fastpass for the more popular rides right away or a reservation for the restaurant you want, keep trying! I’ve gotten Fastpasses and reservations for rides and restaurants just a few days before we were set to leave. So it’s possible! Possibly my favorite perk for on-site guests are extra magic hours! On select days select Disney parks are open either an hour early or a few hours late for on-site guests. You must present your magic band for Cast Members to scan so that they know you are staying on-property, but once they do you are free to ride rides and shop to your hearts content! Chris and I like taking advantage of the nighttime extra magic hours (night time at the parks are my favorite), but many couples with young kids rave about the morning hours. Over the summer when it’s hot extra magic hours are awesome because you can avoid the hottest part of the day and enjoy the parks when it’s a bit cooler out. PRO TIP: If you’re doing night time EMH and have a park hopper pass, do one park in the morning, take a break in the afternoon, and then head to the park with EMH in the evening. 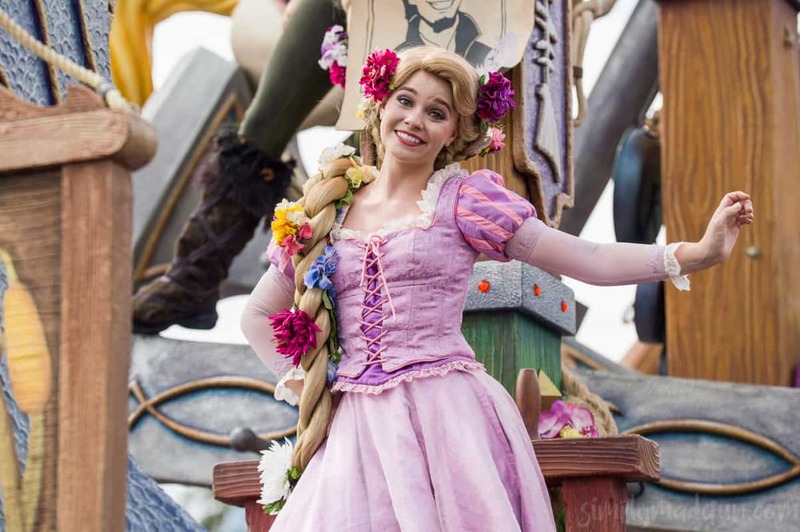 Are you flying to Orlando and then heading to Disney? Well, you don’t have to rent a car because Disney offers transportation to the parks via the Magical Express. It’ll pick you up from the airport and drop you off at your resort, and then take you back to the airport when it’s time to leave. You’ll also receive luggage bands in the mail that you must put on your bags so that Disney will know to take them from the airport for you. One less thing to worry about lugging around the airport! If you like to buy souvenirs at Disney (and let’s be real here, who doesn’t?) but don’t want to carry them around the park all day, you can send them to your resort during checkout! Let me explain. When you’re buying something in a shop you can let the Cast Member know that you’re staying on-site and would like to send your package to the resort. They’ll pull out a form for you to fill out which they will then attach to your souvenir bag. You can do this up to the last full day of your vacation. So handy, right? PRO TIP: Did you also know that you can use the Shop Disney Parks app and send items to your hotel through it? The way it works is that if you find an item you like on property at Disney and scan the barcode in the app, it’ll let you know if that item is available for purchase. If it is you can add it to your cart, buy it, and send it to your Disney Resort without ever having to stand in line inside the store! We did that a few times this trip, and it was so handy! Unfortunately this perk is no longer a perk for on-property guests. Starting March 21, 2018 any overnight guest will be charged for parking at a resort. One nice thing about Disney magic bands are that you can link them to your credit card. That way you can make purchases at the parks with them, and you don’t have to worry about pulling out your card for everything. Chris and I really like doing this because it’s quick, easy, and we don’t have to worry about pulling out our credit card and accidentally leaving it somewhere. And if you have little kids that go with you they will not have the credit card linked to their band unless you set it up that way. This is different from the Magical Express in that it is transportation from the parks to the resorts only. If you don’t have a car or have one but don’t want to drive it for whatever reason you can use the Disney transportation buses to get your places. They all run forty-five minutes before the parks open and one hour after the parks close. PRO TIP: If you have an early dinning reservation talk to the front desk at your resort and they will help you get to your destination! We love all the resort perks when staying on-property, which is the main reason we continue to stay at Disney when on vacation. Not only is it awesome to be right in the middle of all the magic, it’s also great to know you are so well taken care of when away from home! THANK YOU so much for these tips!! We are heading to Disney in 3 weeks and I can’t wait to take advantage of some of these perks! Totally pinning. Just got home today from my first trip to Disneyland. Next time we are definitely staying at a resort hotel! The free parking and transportation alone would be worth it! I agree that the parks at night are my favorite too. If you ever plan to stay at The Swan or Dolphin in Disney World be prepared to pay for parking at the resort, I think it was $15 per night when we drove. That’s because they aren’t Disney resorts. They’re only on Disney property, like Shades of Green which also charges for resort parking. Thanks for the tips. We just made reservations for our trip at the end of November to the beginning of December. My tip is this is the least busy time of year. It is also the most festive. The parks are all dolled up for the holidays but you beat the holiday crush. We are really looking forward to it. Plus, we beat the heat. Also need to be advised that the first week of December is Pop Warner Week when high school football teams compete against each other and there’s a cheer leading competition as well. The Value (and some Moderate) resorts are filled with marginally supervised teenagers. This year (2017) it runs from the 2nd – 9th of December. Be advised that shipping something directly to your room (example, ordering food/snacks from Amazon Pantry or The Good Grocer) isn’t free. Disney charges $5 per delivered box.